The Out of Home advertising has been the only one to grow constantly in the last 8 years, with a +4.1% per year, and it reached $ 31 billions of volume in 2018. The reason of its success has been the ability to maintain and preserve its audience from the digital erosion, thing that happened to the other advertising modalities. Basically, the potential of the standard billboards is the same of the DOOH adv (source: Inside Marketing – March 2019). What is equally appealing but, in some cases, more vivid than the Out of Home advertising? The streaming of a public event live broadcasted on external circuits. There are different advantages related to the live stream of an event or of a particular moment to promote brands, products, tv show, and much more, like the direct engagement of the audience, the unforgettable experience that, inevitably, brings people to recognize the brand and start a trust relationship  and, then, the customer’s conquest. The immediate impact of an event allows to collect data in real-time about the initiative success, the enthusiasm around it, and the registered flows during it. The events streaming gives, also, the possibility to re-elaborate the recorded material and enlarge the scope. XuniPlay has a product to satisfy these requests and reach positive results in a short time: XuniPlay Video. 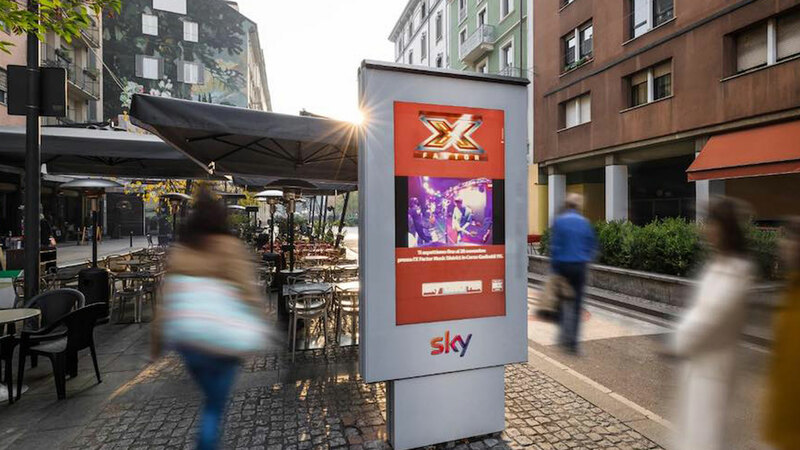 Click here and look what we have realized with XuniPlay Video and our partner Clear Channel Italia!